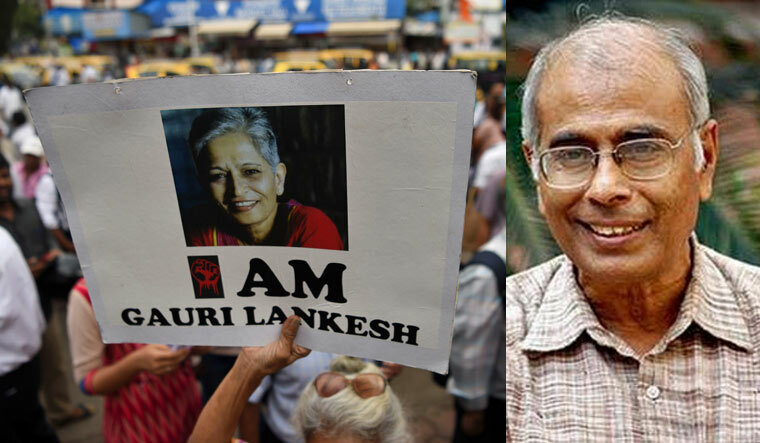 The Central Bureau of Investigation (CBI) has taken Amol Kale, the prime accused in journalist Gauri Lankesh murder case, in its custody in connection with its probe in rationalist Narendra Dabholkar's murder case, an official said on september 6. The CBI suspects that Kale is also the mastermind of Dabholkar's killing, he said. Kale, who was arrested in May this year by the Karnataka Police's Special Investigation Team (SIT) in connection with Lankesh's killing, will be produced before a court in Maharashtra's Pune district on September 6, he said. The official claimed that during Kale's interrogation, his alleged role in Dabholkar's killing also came to light. Kale and Sachin Andure, the alleged main shooter in Dabholkar's killing, had met in Maharashtra's Aurangabad district and also stayed there in a lodge, he said. During his stay in Aurangabad, Kale gave a pistol to Andure and it was passed to the latter's brother-in-law Shubham Surale, the official said. The pistol was found last month at Surale's friend Rohit Rege's residence in Aurangabad during raids by the CBI and the Maharashtra Anti-Terrorism Squad (ATS). During the course of investigation, the CBI is likely to confront Sharad Kalaskar, the other alleged shooter in the Dabholkar case, with Kale, and two others arrested in Lankesh's murder case — Amit Digvekar and Rajesh Bangera, another official said. The CBI took Kalaskar's custody from the ATS on September 3.